It is winter. The kids are bored. There is no snow on the ground and it is too cold to play outside. The solution for the winter doldrums is simple – create a project that you can do with your kids that they can use for hours of entertainment. 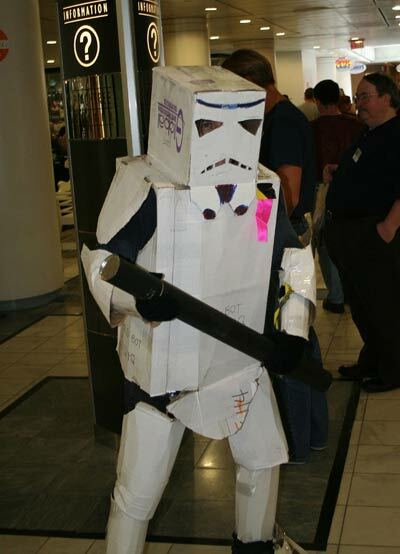 These cardboard box costumes range from super easy to sort of difficult but none should require instructions. You can get the gist of it just by looking at the images. Other supplies that you will need to make these great costume ideas include scissors, tape, crayons, markers and washable paint. You can also take other awesome things from large boxes such a a truck, a plane or a booth to create all kind of fun pretend games. So stay warm and have fun with these inexpensive costume ideas that re-purpose your old cardboard boxes. They are great for the imagination as well as the environment. Whats even better, boxes are free. Just go to your local supermarket and they will be happy to give you all that you want. Your kids will love having a project to do that they can enjoy for days and share with their friends and siblings. It sure beats having them play video games all day!